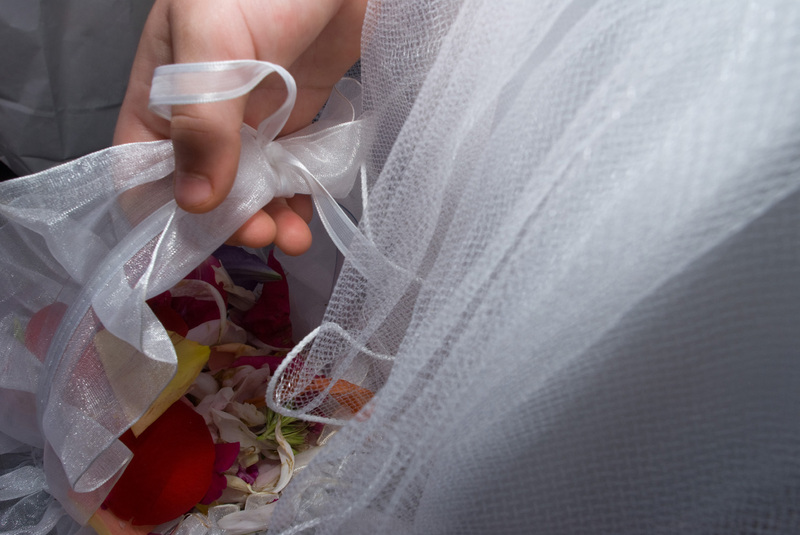 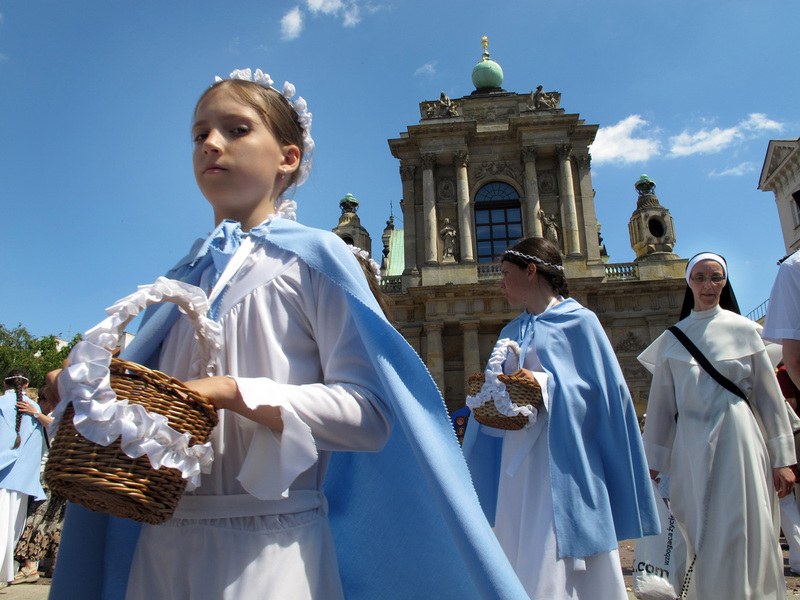 Corpus Christi is a festival that the Catholic Church has celebrated to honor the Eucharist since XIII century. 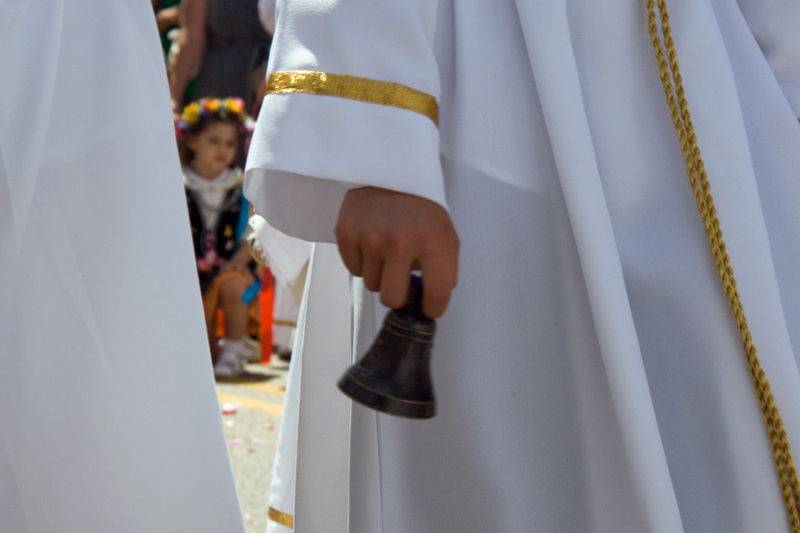 The name “Corpus Christi” is a Latin phrase that refers to the body of Christ. 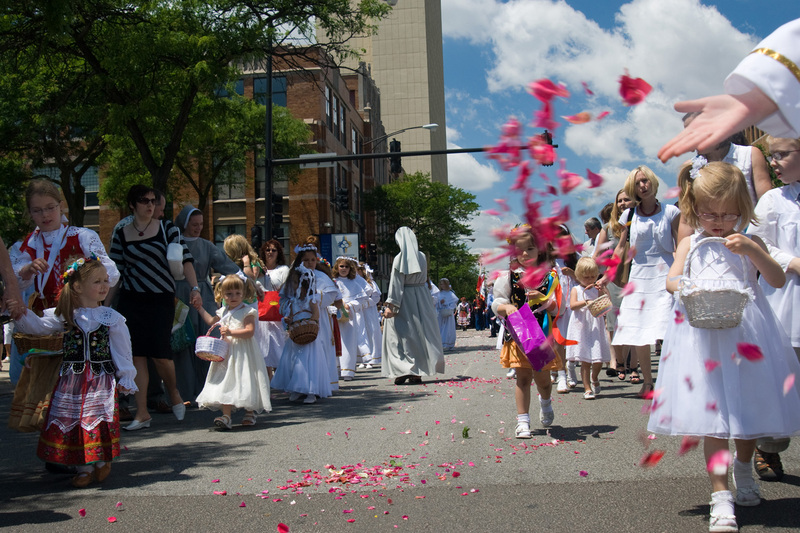 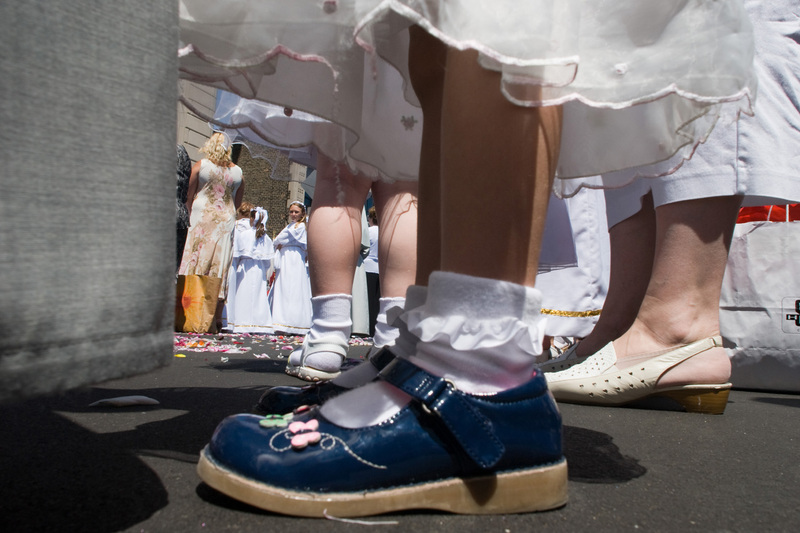 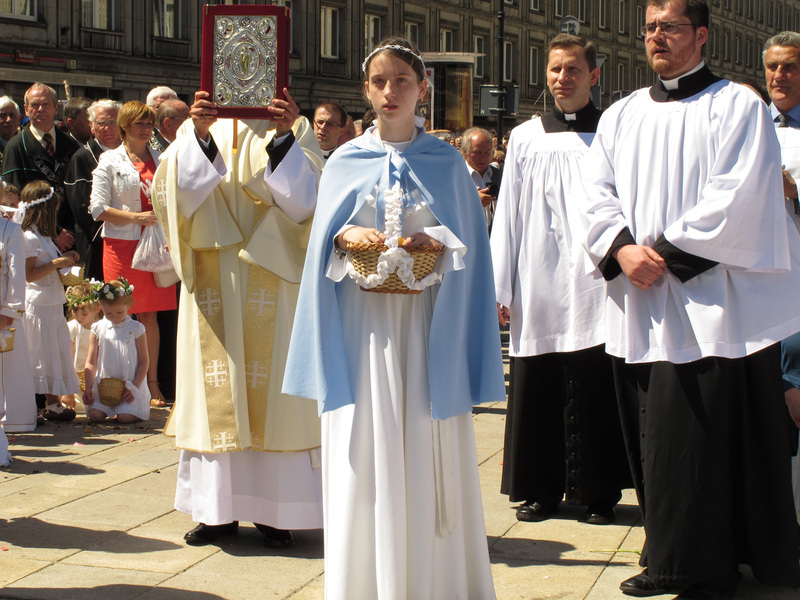 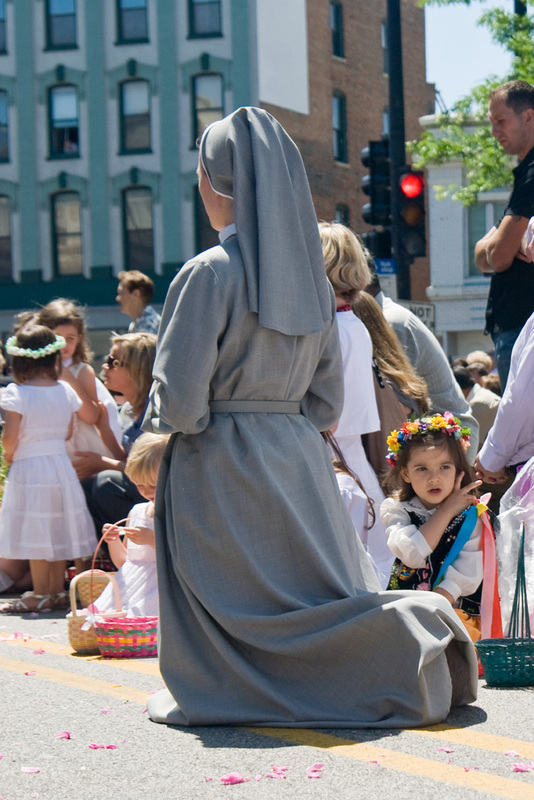 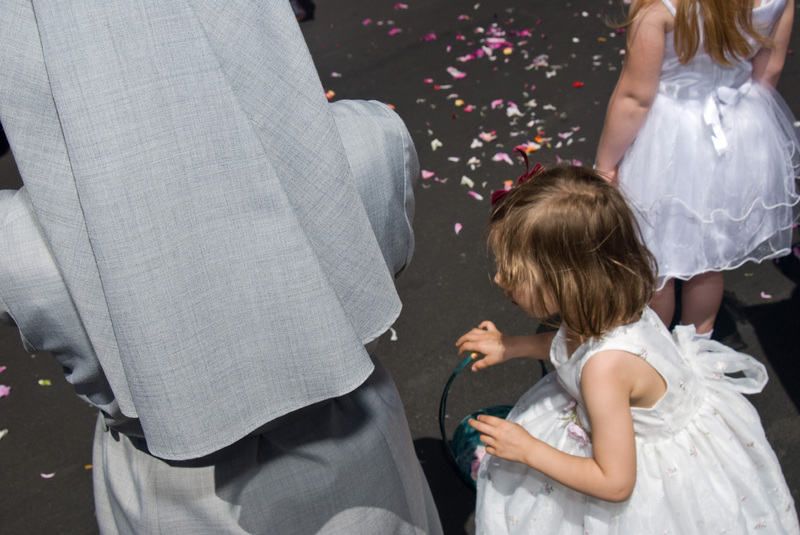 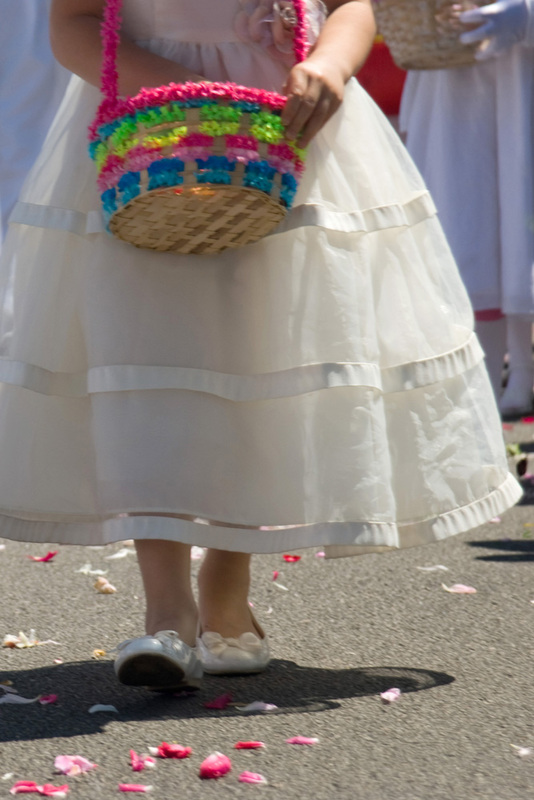 Young girls scatter flower petals on the streets to welcome Jesus, who is believed to walk the streets with the people during the Corpus Christi processions. 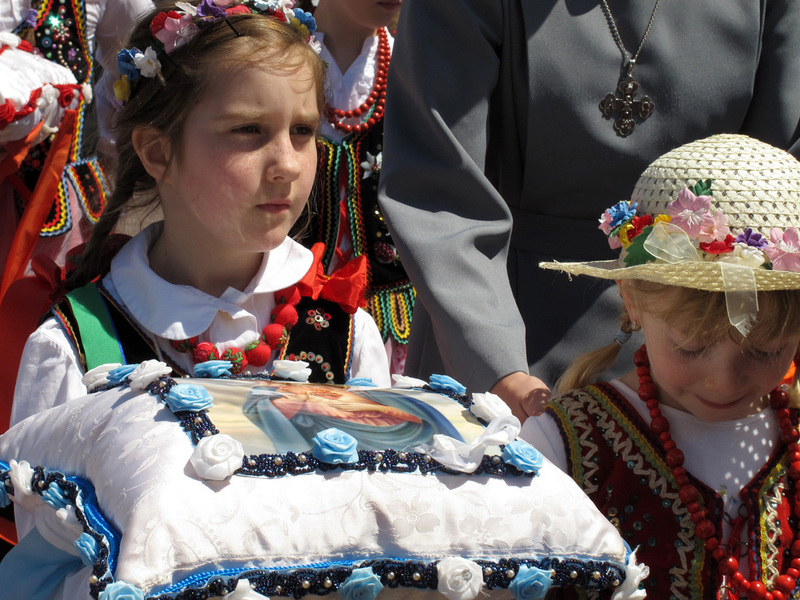 The celebration is an official public holiday in Poland and traffic is stopped for quite long time. 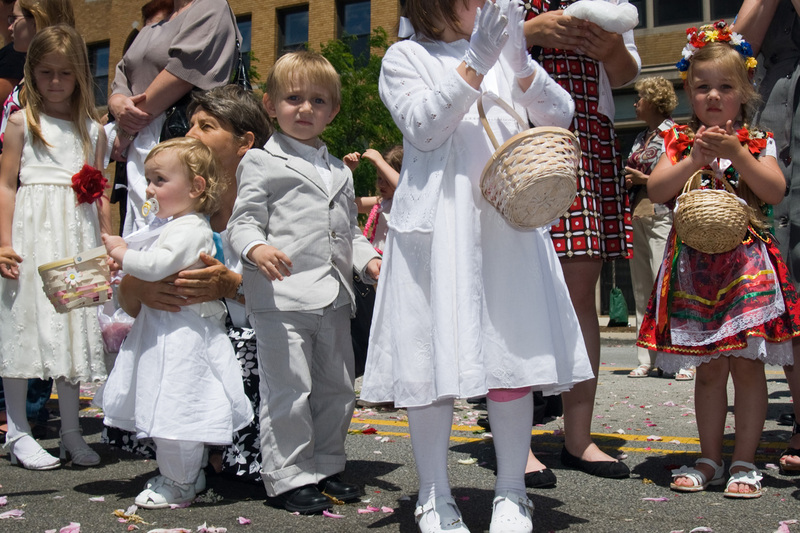 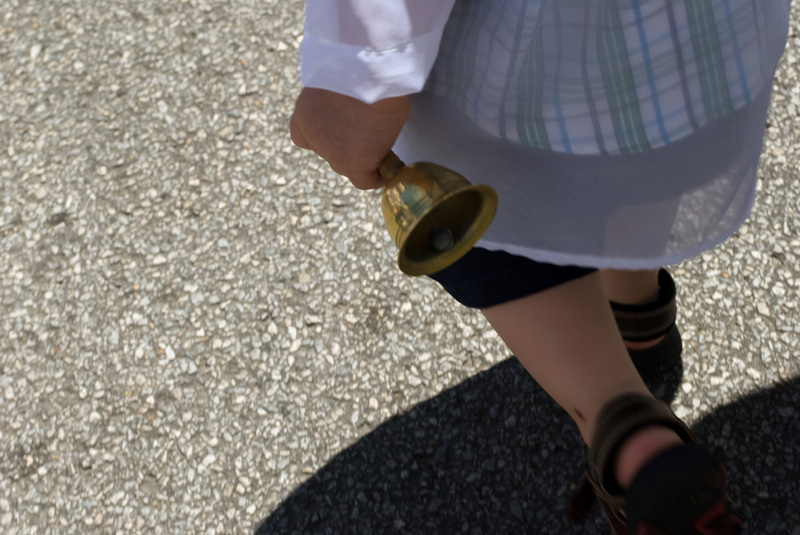 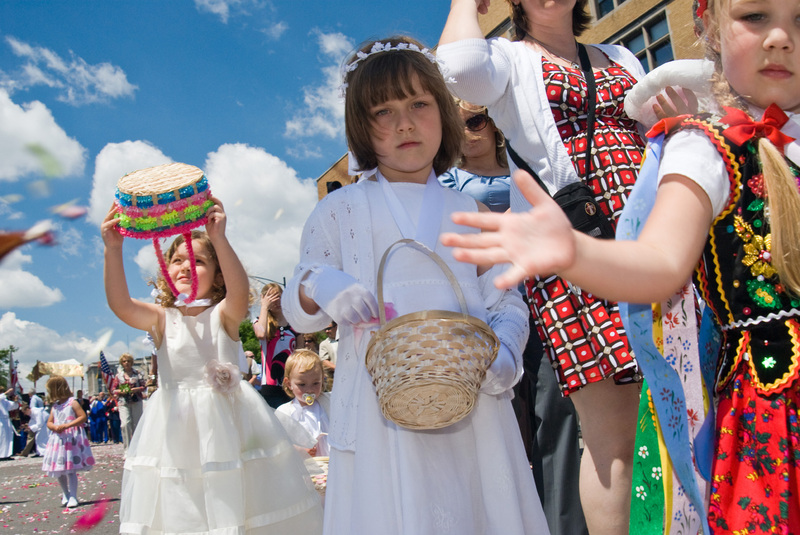 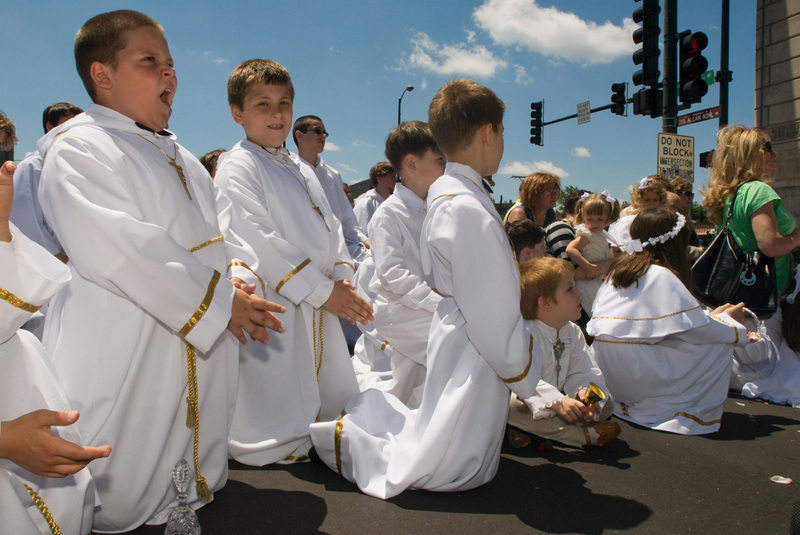 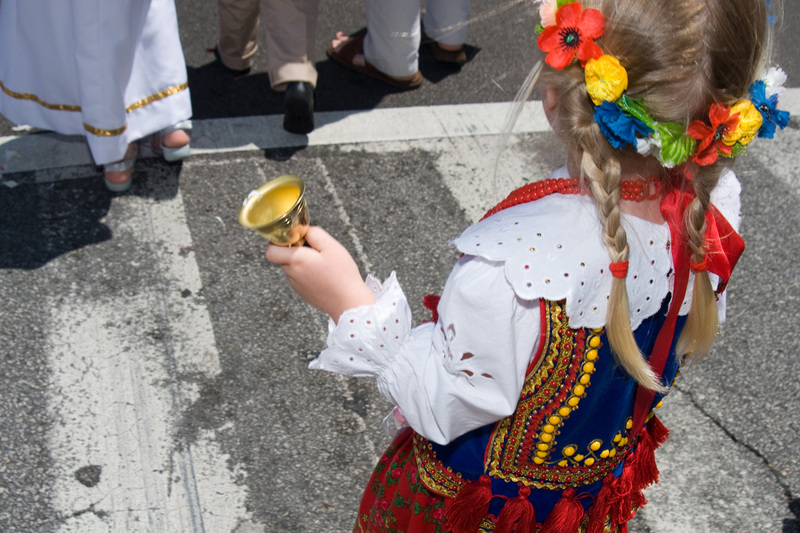 Corpus Christi celebrated in Chicago is an example of how the polish immigrants bring and cultivate their religious and cultural traditions. 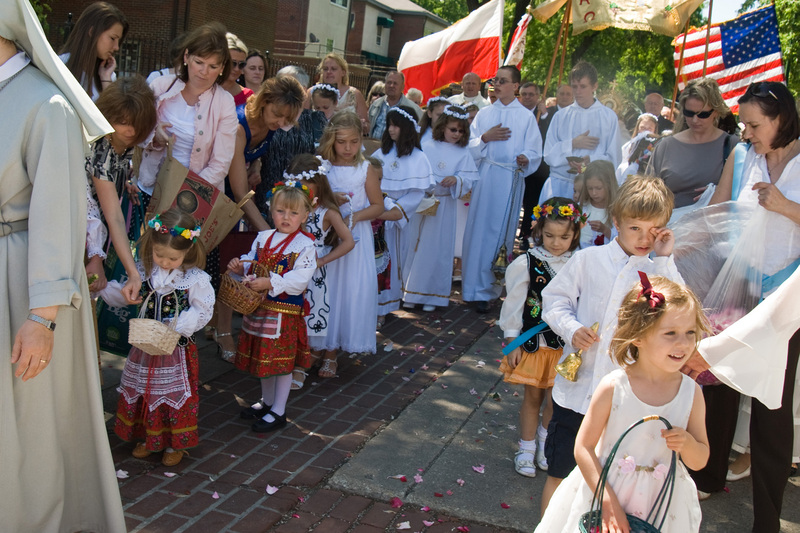 In Chicago there is no official holiday that Thursday and many parishes serving polish community celebrate Corpus Christi on Sunday after the mass. 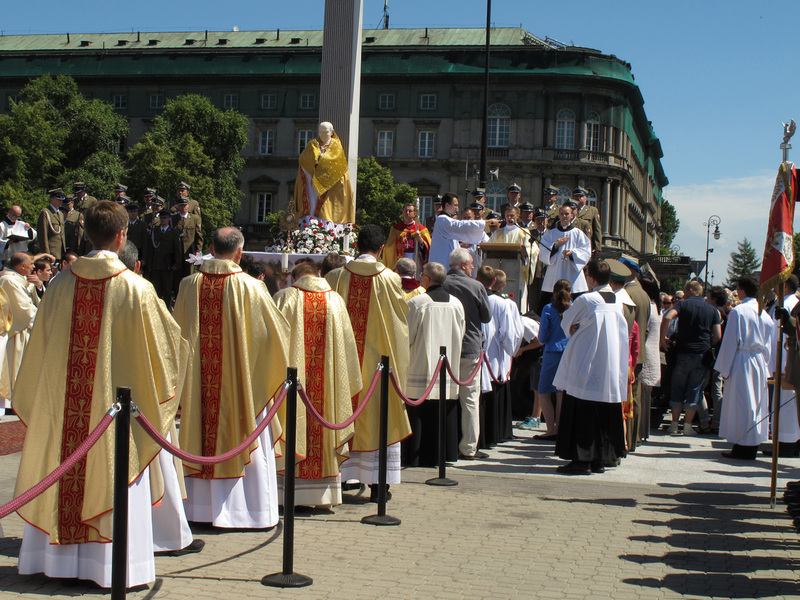 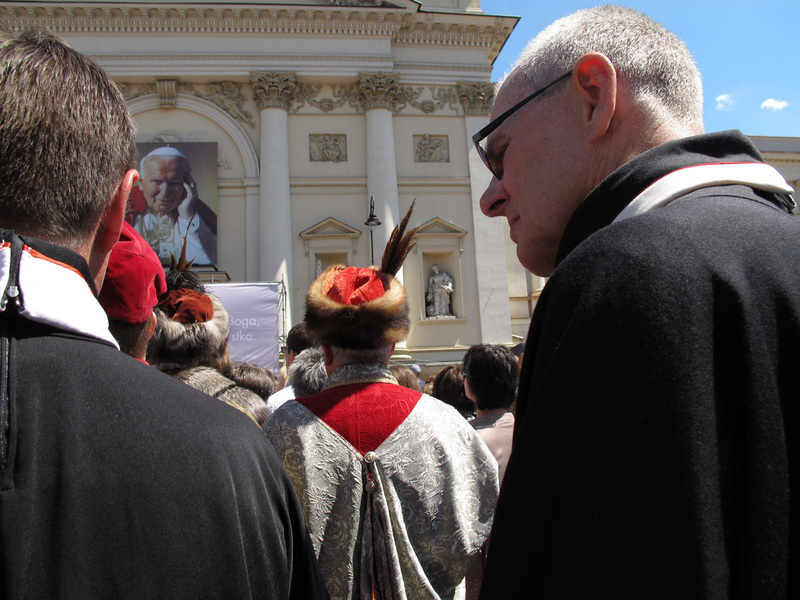 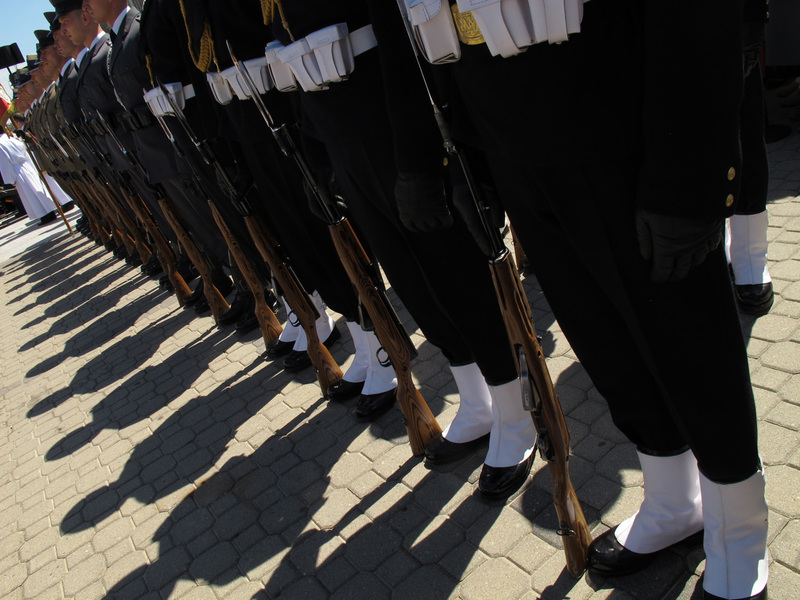 The photographs are from procession organized by Holy Trinity Church, which has become a Polish Mission in 1987. 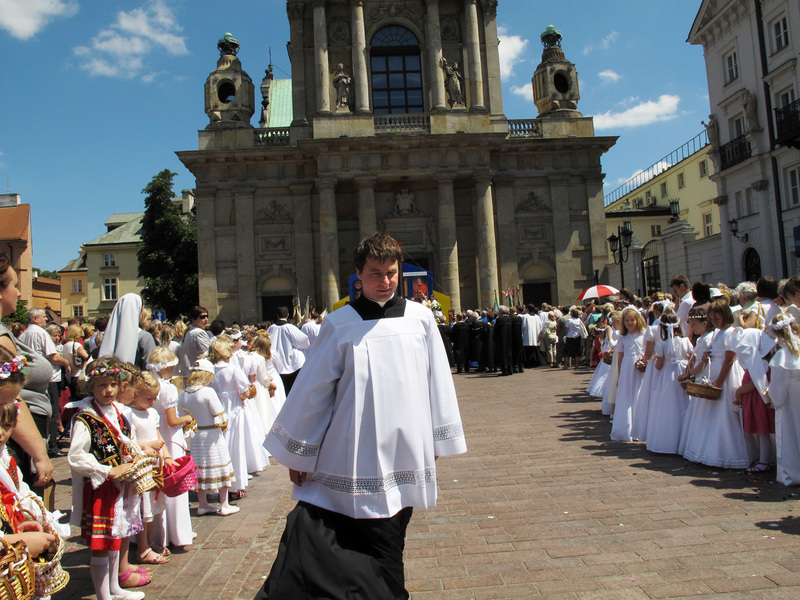 The church has served the community since 1872 and all services are offered in the Polish language. 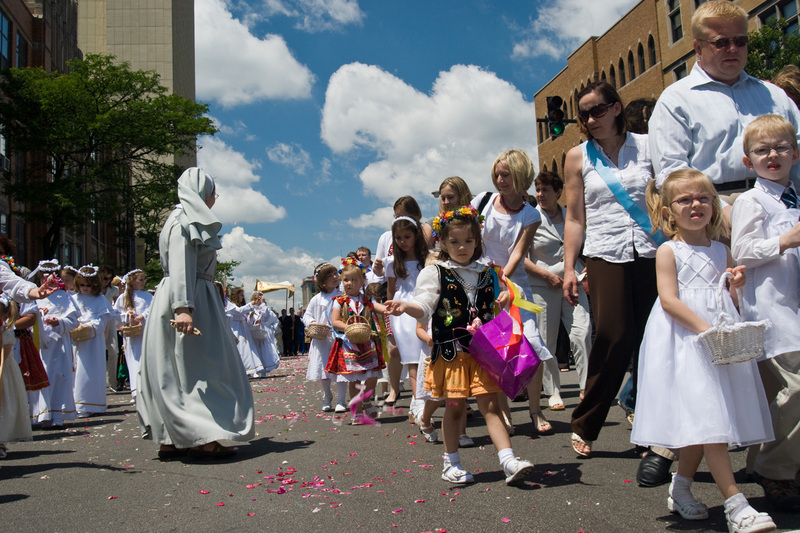 During the procession, traffic is stopped on Division Street and Ashland Avenue, while girls are scattering flower petals and participants stop to pray at temporary shrines.